The Black Shark 2 has finally arrived with significant improvements. Find out all the details on this new device in our article. 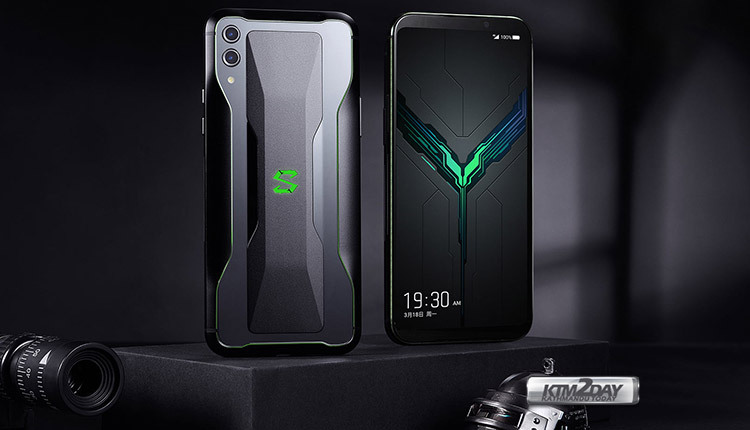 Let’s see what Xiaomi introduced in the second edition of its “Black Shark” dedicated to Gaming . 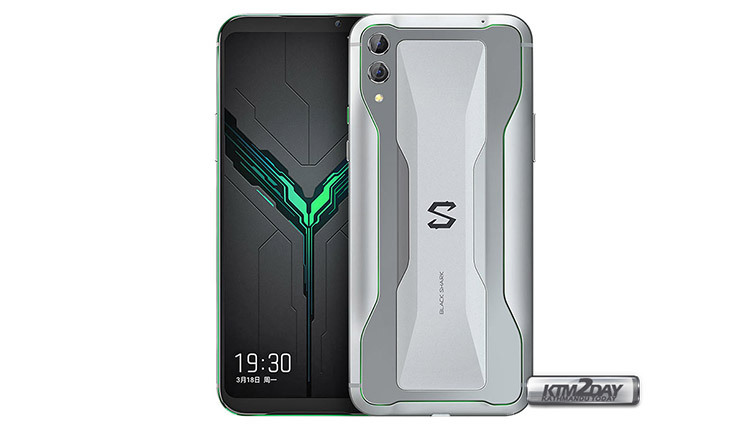 The Black Shark 2 is equipped with two front facing stereo speakers , so you can hold the phone in a horizontal position without blocking the sound output. The X-shaped antenna offers strong reception regardless of how you hold the phone in your hand. The fingerprint reader is located underneath the display. 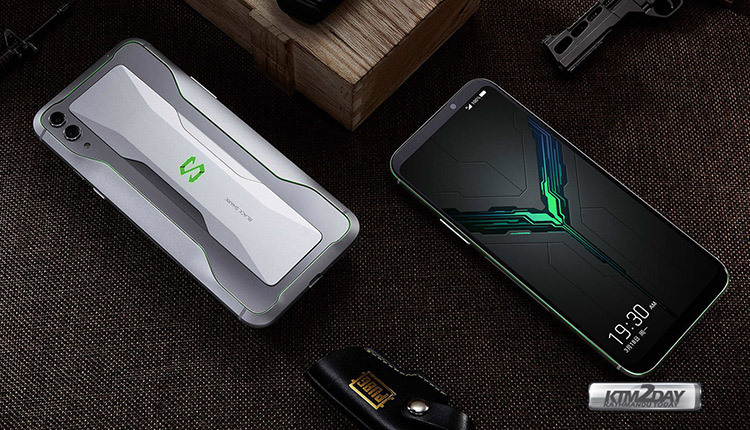 The smartphone is powered by the latest Qualcomm Snapdragon 855 . It has a Liquid Cool 3.0 vapor chamber cooling system . This promises a lower chipset temperature of 14° C. The add-on is not missing: Cooling Case with a fan that helps dissipate heat, further lowering the temperature by 5° C.
The Ludicrous mode attenuates the temperature regulation and artificial intelligence ensures everything is running smoothly – from the CPU/GPU, the network and even charging speed. The smartphone is equipped with a large battery of 4,000 mAh which supports a quick charge of 27W . Black Shark has also unveiled the GamePad 3.0 , which can turn your smartphone into a console similar to the Nintendo Switch. It has an HDMI output, plus hardware controls on both sides of the phone. On the back there is a dual camera , the main module is a 48 MP Quad Bayer sensor with 0.8 μm of pixel and f / 1.75 aperture. The secondary camera has a 2x telephoto lens and a 12 MP sensor (1.0 μm pixel). The front camera consists of a 20 MP sensor (f / 2.0, 0.9μm). The new display is a 6.39 “AMOLED from Samsung. Input latency has been reduced to 43.5 ms, which is actually quite good for a touch screen. Magic Press lets you map the buttons on the left and right side of the screen which can be activated by pressing harder on the screen. The required force can also be adjusted to different levels. The 1080p screen is HDR enabled and covers the DCI-P3 color space with ΔE <1. There are four ambient light sensors that help the dedicated image processor monitor the environment and adapt the screen accordingly. The brightness is 430 nit. Full DC attenuation avoids the flicker problem at low brightness levels. There is also a movement interpolation similar to the high frame rate mode on televisions (although it is not clear if the screen itself can go beyond 60Hz). CNY 4,200, about Rs 69000 for the 12/256GB version. In both cases it is the LPDDR4x RAM and UFS 2.1 memory. A new version in Frozen Silver color is available, exclusive for the 8/256 GB model.